Thermal Lunch Tote Only $3.80 Plus FREE Shipping! You are here: Home / Great Deals / Amazon Deals / Thermal Lunch Tote Only $3.80 Plus FREE Shipping! 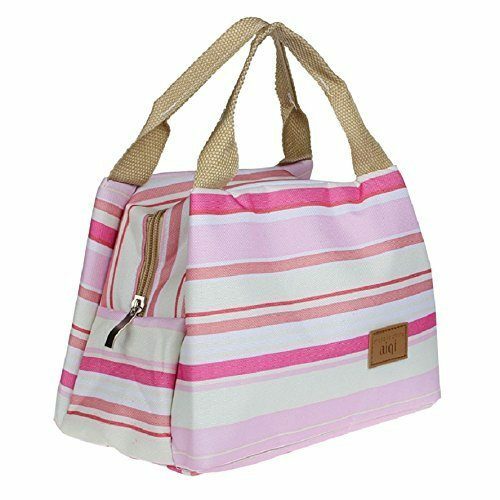 Head to Amazon to pickup this cute, striped Thermal Lunch Tote for Only $3.80 Plus FREE Shipping! Canvas exterior and insulated with a zipper closing!